One of the best things about Christmas is putting up the Christmas tree and decorating the house, it's something we love to do together every year and we like to fill every room with decorations of some sort to make the whole house feel festive. This year my daughter had an extra treat as she was able to decorate her beloved Sylvanian Families house for Christmas too with the Sylvanian Families Christmas Set. 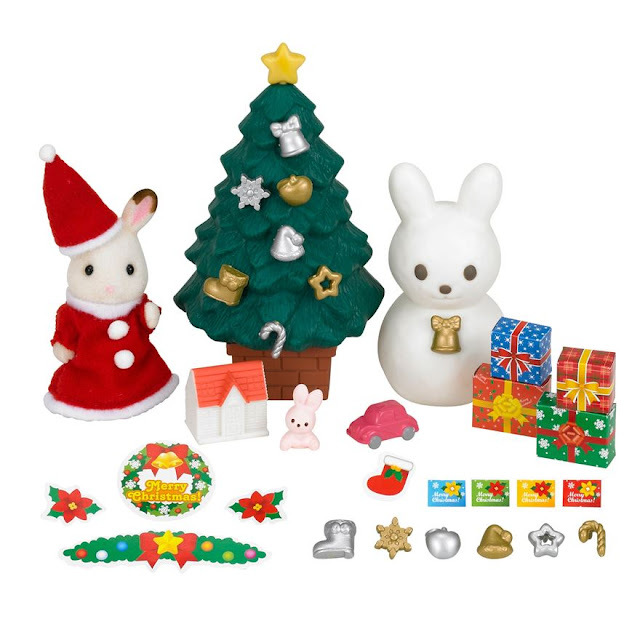 This beautiful set contains everything a child needs to decorate their Sylvanian Families house no matter which one they have. 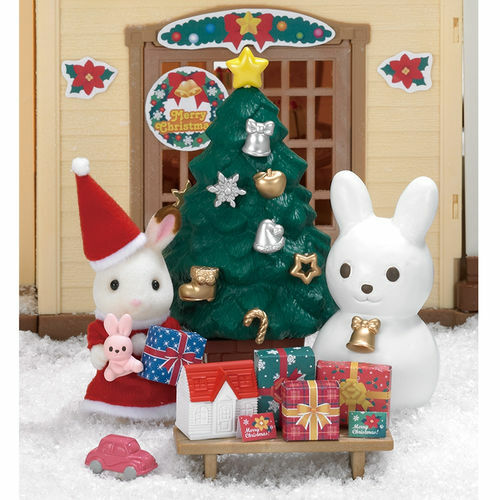 It includes a Christmas tree complete with gold and silver ornaments and a star to put on top, presents to put under the tree, toys, cards, a super cute bunny snowman and a chocolate rabbit girl in her Christmas outfit. My daughter had so much fun decorating her Beechwood Hall and it's made her even more excited for Christmas (if that's even possible). 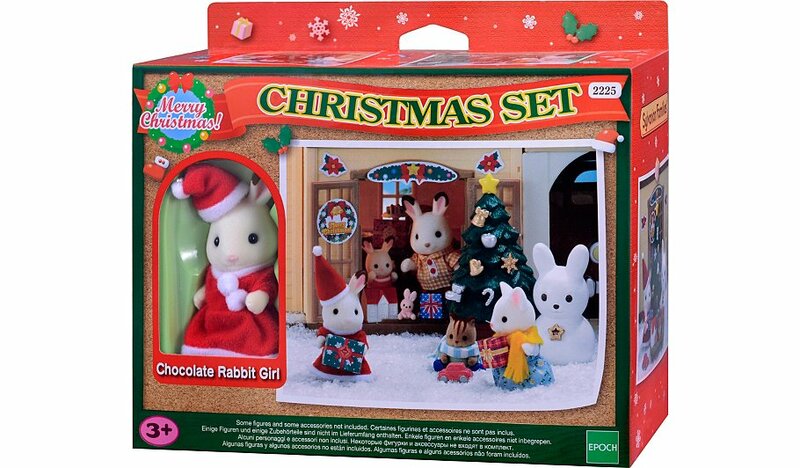 It's a must have set for any child that loves Sylvanian Families and is available to buy from most good toy stores. You can also find all the Sylvanian products and much more over on the website sylvanianfamilies.co.uk. How lovely. I used to love Sylvanian Families when I was younger. I want to get the Sylvanian Families house for myself, nevermind my children! these are great and have been going for years, but they are so expensive for what they are. Aww they're lovely. Still going strong after all these years!